PPG announced Jan. 16 it is partnering with the University of Michigan’s Mcity to test paint and other vehicle coatings specially designed for autonomous vehicles. New products under development by PPG include an easy-to-clean coating to keep sensors free of debris and coatings that could make other cars on the road more visible to radar and LiDAR scanners. 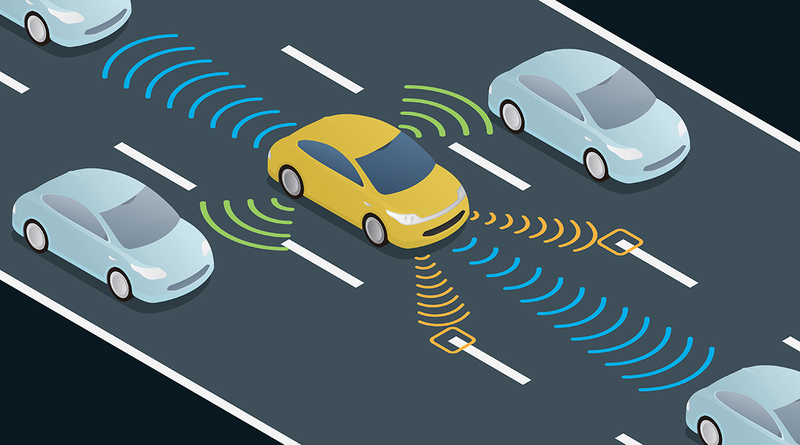 “Specialized coatings will play an integral role in the development of safe and reliable driverless vehicles,” Gary Danowski, PPG’s vice president in automotive OEM coatings, said in a statement. Mcity opened in 2015 as a proving ground for connected and autonomous vehicles. The 32-acre site simulates a wide range of challenges, conditions and obstacles present in urban and suburban driving environments. There are about five miles of roads with intersections, traffic signals, street lights, sidewalks, fire hydrants, fake buildings, construction barriers and crash test dummies. PPG will be the first paints and coatings company to test at Mcity. Other companies testing at Mcity include Ford, GM, Honda, Toyota, Intel, LG and Verizon. PPG showed off its new line of paints and coatings for autonomous vehicles at the North American International Auto Show in Detroit. One new coating is designed to better reflect rather than absorb radar and LiDAR signals to make other cars more visible to self-driving cars. A top coating allows signals to penetrate a top layer and then bounce off a reflective underlayer. PPG uses similar technology in its aerospace business to reflect light and heat.